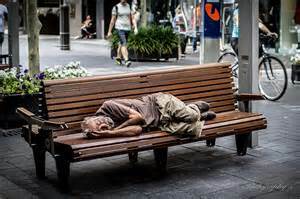 You’ve probably walked right past him sleeping on a city bench, ignored by society – alone. Did you ever wonder who he was and what circumstances brought him to the place you’ve found him in? Fortunately for one United States Marine, my brother did. One simple act of kindness, and from this brief encounter, the vision for Beyond Valor emerged. My brother Ben called me one day seven years ago to share an event that had occurred that morning. He had just started work as a Welding Shop Foreman and, while lining up jobs for his crew. he was informed that their shop sweeper had been seen using the bathroom sink to clean up. Ben could have chosen to ignore the issue like most people would, but Ben is not like most people. This was one of his employees — a member of both his work and military family. So, instead of walking away, he took time to talk with this man to learn why he needed to use the company restroom to bathe. Shocked, Ben learned this homeless man was actually an American hero – a United States Marine Corps Veteran from the Vietnam War era. Ben didn’t hesitate to get involved. He was able to reunite this former soldier with his sister, who then helped her brother file for the benefits he deserved. The home she helped him buy provided a sense of self-worth and dignity which kept him from free-falling all the way into the statistical abyss that way too many Americans are finding themselves in. One simple act of kindness from a near stranger proved someone cared. This in turn pointed him away from the bench which represents cracks in society that engulf people every day. That encounter reminded Ben of our brother Frank, who was also a Vietnam Marine Corps Veteran. As he and I discussed the issues facing returning service men and women, we reached the same conclusion — we had to take a stand, get involved, and help soldiers returning from serving our country so broken that they could not take care of themselves, let alone their loved ones.